Emma Charlotte Duerre Watson is a British actress, born in Paris to the lawyers Jacqueline Lusby and Chris Watson in the year 1990. When she was nine she was cast for the role of Hermoine Granger in The Harry Potter series and her first movie was released in 2001. She has been active ever since, as an actress and an activist. Despite being the top actress of Hollywood, a little is known about her to the general audience. Here are a few interesting facts about Emma Watson that prove that she is a beauty with brains and a good human being. Emma Watson was nine years old when she was cast for a film, so she had to cope with her studies alongside acting. Despite, she always managed to score high grades in high school and get straight A's in A-levels. On various occasions, Emma said that she likes reading books for pleasure and is a huge bookworm. She has also taken her hobby to next level by getting a degree in English literature. Emma Watson has an IQ of 138 (Albert Einstein’s IQ was 160). She is a certified yoga and meditation instructor. This reveals the reason behind her flawless mien. Emma is a strong woman who proudly claims to be a feminist and defines feminism as the belief that both men and women should have equal opportunities and rights. She is an avid supporter and promoter of girl’s education. 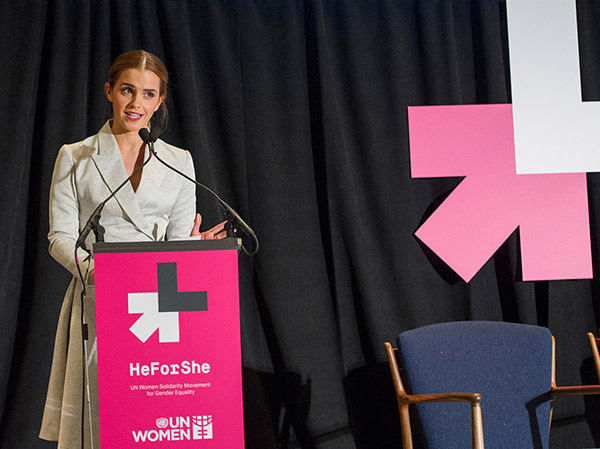 Emma is a UN Goodwill Ambassador and an initiator of the movement 'HeForShe' the main objective of which is to eradicate gender inequality and stereotypes. Ever wondered how Emma Watson stays fit? It is because she is a sportsperson and often works out by hitting the gym. She plays hockey, netball, and tennis in her free time. Emma can dance in different styles like break dance, ballet dance, and modern dance. She is an all-rounder. 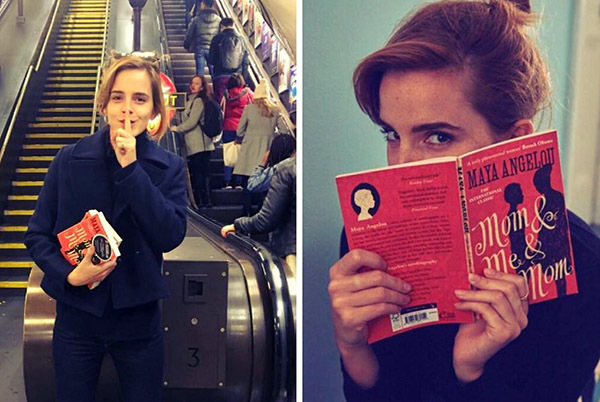 To end the list here is too unfair as Emma Watson has another side that is too cool and funny. In 2014, she missed the Vanity Fair Oscar party as she fell asleep in the hotel room. The fun part is when she ordered a pizza and ate it without being anxious about having missed the party. Emma often disappoints her fans by saying that she shares a brotherly bond with her co-stars Daniel Radcliff (Harry Potter) and Rupert Grin (Ron Weasley). She claims to have had a huge crush on Tom Felton who played Draco Malfoy in the Harry Potter series when she was 12 as he had a skateboard. Emma owns two cats named bubbles and domino.